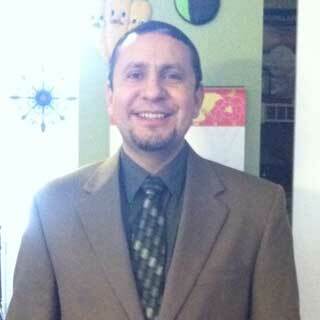 Family Service Association | "Blog - Juan Escutia"
My official title is Qualified Mental Health Practitioner. I am one of three Spanish/English Outpatient therapists. I work out of the Elgin office three days a week. My role is mainly to conduct Mental Health Assessments, complete a treatment plan for those individuals/families that qualify and meet medical necessity to receive services and then provide the services. I chose Family Service Association because of the culture within the organization which is clinically minded but also strongly encourages professional growth and interdisciplinary collaboration. They are highly flexible with each clinician’s individual needs and have a very flexible schedule. It is definitely not the pay, but the population we serve. They deserve the best and this place provides some of the best if not the best services available in the area. I would avoid giving a technical or clinical explanation of what I do and would rather use those two minutes to connect with whoever I am talking to. I would try to explain that what I do every day when I’m at work is help people that are going through a rough time and are seeking knowledge and support from someone who is trained to help them. I would tell them that when they come in through my door they are guaranteed many things including unconditional positive regards, respect, empathy, encouragement, support, acceptance and guidance on how to proceed so that by the time they walk out of my door they feel understood and better equipped to face whatever waits for them out there. Number one goal for me is to help them be safe and make decisions that will pay dividends in the form of better self-esteem, feeling better equipped to live life with confidence and with skills that will make their life and the lives around them better. The best part is that by virtue of our job, all people that we come across benefit from our services. Some people think this job is depressing or stressful. In reality if you have a strong worth ethic, solid clinical skills, cultural humility, a solid self-care plan, use your supports and mentors, this job is one of the most rewarding jobs. As a therapist, you constantly self-examine to be a better person in and outside the therapy room while continuously adding valuable skills to individuals and families. Our hope is that we bring lasting benefits and in some cases change or disrupt maladaptive generational patterns that without therapy would have increased their chances of passing on those problems to future generations. I would have to say that I am an agent of change in that people that come see me know, not because I say so, but because they experience drastic improvement in how they relate to others. And when they do this, they change not just how they are with themselves but with others. The most important part of this whole thing is that I eventually become unnecessary to them because they now have the skills and knowledge to keep most if not all the symptoms that brought them to us from coming back and they will have the confidence and knowhow of how to face them and win should these symptoms come back. Or have the sense of comfort to know we are a phone call away should they need to come back to us. This is an easy one. My Mom because she modeled empathy growing up, balanced nurturance and discipline, provided a solid spiritual foundation and provided me with support through-out my personal and professional career. There have been many others who have served as mentors, but these are too many to mention. What I can say is that other than my mom and my mentors and professors, the families I have been privileged to serve have had the greatest influence and continue to influence my work and inspire me day in and day out. I would probably choose to meet and talk with my paternal grandfather who was murdered while my grandmother was pregnant with my dad. People would be surprised if they knew that growing up I was a student that struggled academically from Pre-K all the way to 9th grade and that my family had very low hopes for me to graduate from school. In other words, I was the most likely to end up as a school drop out. I would choose the power to heal. Health, both physically and emotionally, is invaluable and the impact on those close to me and the people I work with would be unmeasurable. Depends on my mood, but pretty much anything my mom and/or my wife cook! They are the best!!! Nothing really because once I eat it, it automatically stops being weird. So many places are interesting and magical and it’s difficult to single one out, but if I was forced to choose one it would probably be Sequoia National Park in California.